One day when they were both watching old shows, the second notification from the council came stating that all half codes need to be assessed every year to determined whether they were white witch or black witch. Nathan's grandmother brought him to the council building to get assessment and when questions were asked about his parents Nathan just kept quiet. The results was Nathan's nature was not ascertained which was a good thing according to his grandmother. Many notifications came throughout the years but one that was nearing Arran's giving ceremony, Nathan was apprehended and sent elsewhere far from his family. Nathan was kept in a cage with a guardian name Celia taking care of him. Life was miserable but Nathan learnt as much as he could and slowly planned for an escape. 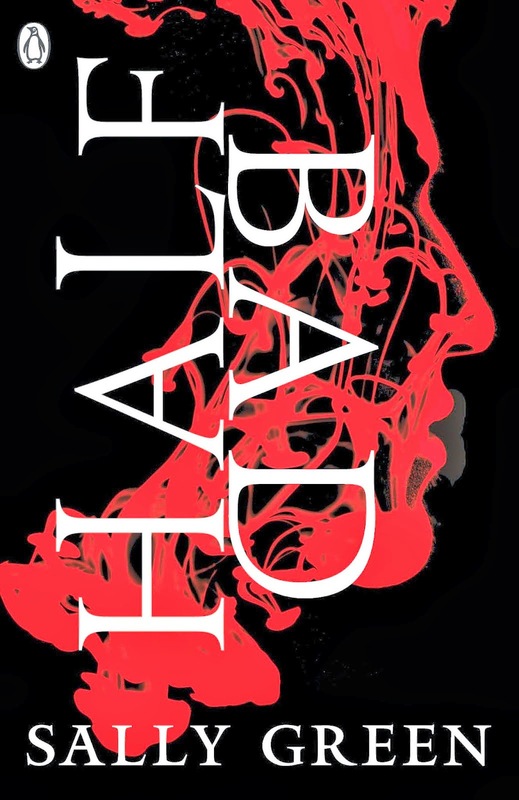 Half Bad by Sally Green is a story about a boy who has a white witch mother and a black witch father. I loved this book as the story is really unique and original. There isn't a book that is similar that I can mention. I like the setting of the book and places mentioned were simple. The main character of the book really captured me as he is a strong and determined person. Given the situations that he encountered, he really endured well in it. Although this book is in the fantasy genre but it has minimal magic involved, I believe this book is just the build up for the rest of the series. The events that happened in the story was really exciting for the main character and the people he came across were interesting people. The connections between some characters was quite well done to accompany other character's actions and behaviors. I love how the book started and the perspective was really good. The writing style of the book is different in the beginning and then we get our hero's perspective. There is much meaning to the book as you read the struggles of the main character and I believe that there is a lesson to learn which made me love the book very much. It's not your typical story about witches that have magic but something more. The book ended at a cliffhanger and I'm so excited to read the next one in the series but sadly I would have to wait till Spring 2015 and the book is titled Half Wild. I highly recommend this book to readers who enjoy a different kind of young adult fantasy and loves a book that has a great meaning in it. Everyone gathered at the beach as Panic was going to start soon. The crowd slowly increased like every year the game always begins where people who want to compete would require to jump off that cliff into the sea. Those who have the guts to do it will enter the Panic game. Heather gathered there with her friends to watch and give support to her best friend Natalie who decided to join. The rules are simple where you just have to pass the test to reach the final round and be the winner whereby those stages are fear related situations. Although Heather is there to support Natalie but her eyes was elsewhere looking for Matt. Sadly, she saw him with someone else and that means their relationship ended. Heather did not feel good at all which resulted in her jumping down the cliff and taking part in Panic in the heat of the moment. 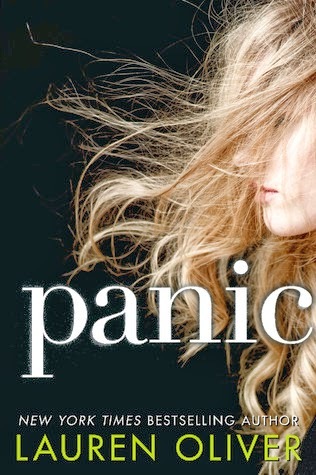 Panic by Lauren Oliver is about teenagers competing in a secret game held in their town where the winner takes about 50,000 dollars but this year it amounted up to 67,000 dollars. The author has written 4 books and those were New York Times bestselling titles. I bought and read this book first as it was the latest one from her and I got the privilege to meet her in person at a local book store. I got my copies signed and was really excited to read this. Before I started the book, I did hear some inspirational words from the author and some of the things she likes about endings. Her words of the ending made sense after I finish the book but I did hope for more but then again it's her writing style and I appreciated it. I quite liked this book with two perspectives involved that slowly linked up and the connection will show eventually. At the start of the book it's slow as it is building up suspension and I quite liked the direction of it. One of the main characters were mysterious at first which makes me want to read more to find out. The background story of the characters are certainly good and well written. I also love the personality of the characters as they were different people with different goals. The plot of the book is good and when the twist happened, it really got me by surprise which I loved. The meaning behind the book and the message that the author is sending to the readers is a point that I love much. The characters are caught in situations that are realistic and how they face and conquer it was really good. I was greatly entertained by the book and it gave me much assurance that the previous books the author wrote was certainly good and not hyped up by marketing. I highly recommend this to contemporary book lovers and also readers who love Lauren Oliver's previous books. I can't wait to start on her other books now! In terms of re-reading, I don't think it is likely to happen for me anytime soon. Every day I am someone else. I am myself - I know I am myself. But I am also someone else. It has always been like this. Each morning, A wakes up in a different body. There's never any warning about who it will be. There's never any warning about who it will be, but A is used to that. Never get too attached. Avoid being noticed. Do not interfere. 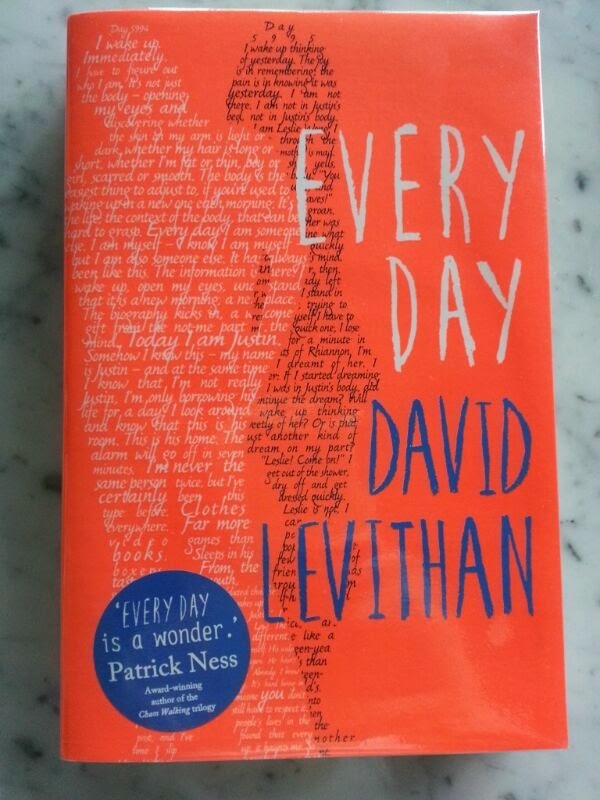 Every Day by David Levithan is about a boy who changes body every day where he takes on that person's life just for one day and then the next day he would be someone else. I really really like this book just that I wished the ending was something else but it was still a good ending. This book has many good values in it and I totally agree with it. The love that is being portrayed is so true and beautiful and this is the kind of love that is real. One thing that I absolutely love about the character is his view of society and human behaviour. He is a person who went through a lot and I love his personality that was developed because of his experiences. There is this particular thought/view that he has that I totally agree with "Race is different purely as a social construction, not as an inherent difference". The thoughts of the male lead is quite mature and I feel that teenagers who picked up this book will learn a lot and probably have a change in their view of the world. The whole story has such great meaning and values in it. The plots of the book is smooth with a good pace. I highly recommend this book to people who loves John Green's writing. I can say it's a bit similar but I like this book more than The fault in our stars. I will definitely read this book again and again and again. The circus arrives without warning. No announcement precedes it, no paper notices on down town posts and billboards, no mentions or advertisements in local newspaper. It is simply there, when yesterday it was not. The towering tents are striped in white and black, no gold and crimsons to be seen. No colour at all, save for neighbouring trees and the grass of the surrounding fields. Black-and-white stripes on grey sky; countless tents of varying shapes and sizes, with an elaborate wrought-iron fence encasing them in a colourless world. Even what little ground is visible from outside is black or white, painted or powdered, or treated with some other circus trick. Hector Bowen which is known as Prospero the enchanter as a magician had someone waiting for him in the office. There was a girl sitting in the chair who is about 5 years old. Apparently this is his love child and the mother has passed away and so the daughter's only family member left was the magician. Her name is Celia Bowen and like her father she had talent for magic which pique her father's interest on her. He contacted a man in the grey suit and they arranged a challenge to happen. The man gave Celia a ring to wear and it was burnt into her finger leaving a mark there. Details of the challenge was not discussed and it will happen when it happens. The man in the grey suit went to an orphanage interviewing many children and there was this boy who loved to read. He decided to pick him and they went to live in a house. Prospero also gave a ring to the man and so the ring was worn by the boy and it reacted just like Celia's. Challengers have been decided but everything else was still vague. 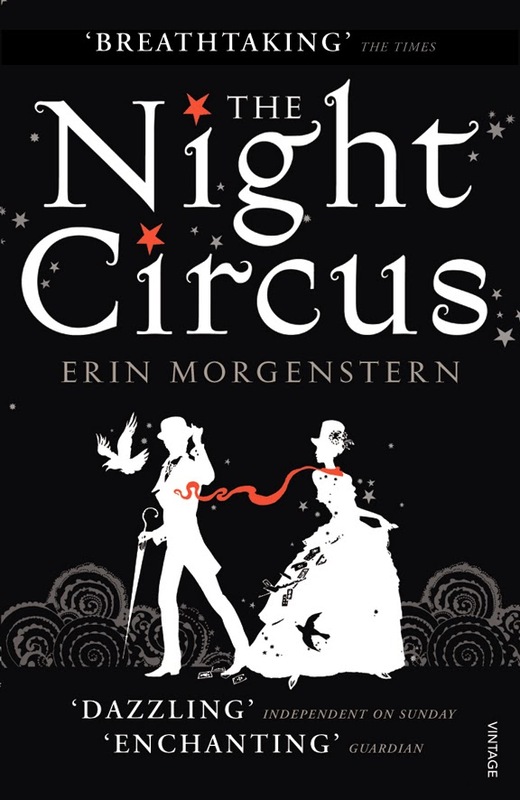 The Night Circus by Erin Morgenstern is such a beautiful book with a description of a circus that is so magical. This book is absolutely fabulous, enchanting and so so magical. The reading is just wonderful especially the descriptive parts. The time and setting of the book is so suitable for the story and it's one of those era that I absolutely love. It's a book about magic, illusionists and a beautiful idea coming to fruition. How the whole circus slowly came to be and expand even more is such wonderful thing to read about and I enjoyed every moment of it. The different perspectives involved in the book was really good as having different insight adds so much more to the story. The characters of this book is full of mystery which slowly unfolds. I love how so many people are involved and intertwined with the circus and how things are connected. The plots of the book was just really good and the flow of the story was so seamless. I could not put down the book as I wanted to know more and I felt that the book was not thick enough for me. This book is such a good book to read again and I guarantee that you will be satisfied and also have the hunger for more of this author's works. I highly recommend to those who love magic, love 1800's timeline and love imagining a magical circus. "Jack Audley has been a highwayman, a soldier, and he has always been a rogue. What he is not, and wanted to be, is a peer of the realm. But when he is recognised as the long lost son of the House of Wyndham, his carefree life is over. And if his birth proves to be legitimate, then he will find himself with the one title he never wanted: Duke of Wyndham. Grace Eversleigh has spent the last five years toiling as the companion to the dowager Duchess of Wyndham. It is a thankless job, with very little break from the routine...until Jack Audley lands in her life, all rakish smiles and debonair charm. He is not a man who takes no for an answer, and when she is in his arms, she's not a woman who wants to say no. But if he is the true duke, then he is the one man she can never have..." excerpt from book. 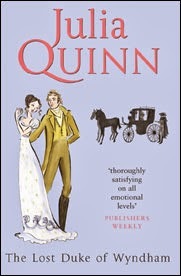 The Lost Duke of Wyndham by Julia Quinn is about a man who has his whole world changed once he was found out to be in line for dukedom. I find that this book was just okay compared to other books of the same author. The characters were good but the storyline was not exciting enough. I thought that the romance was also just okay because I wanted more romantic gesture from the gentleman. Everything went really well for the plots where there isn't much twists involved. The start and the end of the book was acceptable for me and I find the middle of the book to be slow. I didn't get the usual excitement or happy feelings from her other books. I think I probably expected too much from the book as her other historical romance books were fantastic. 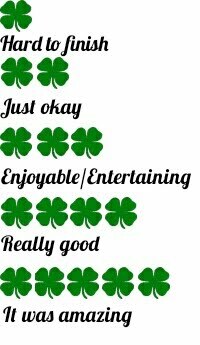 It wasn't bad but just not as good as others. I don't really recommend this book for keeping as I don't I would read it again.